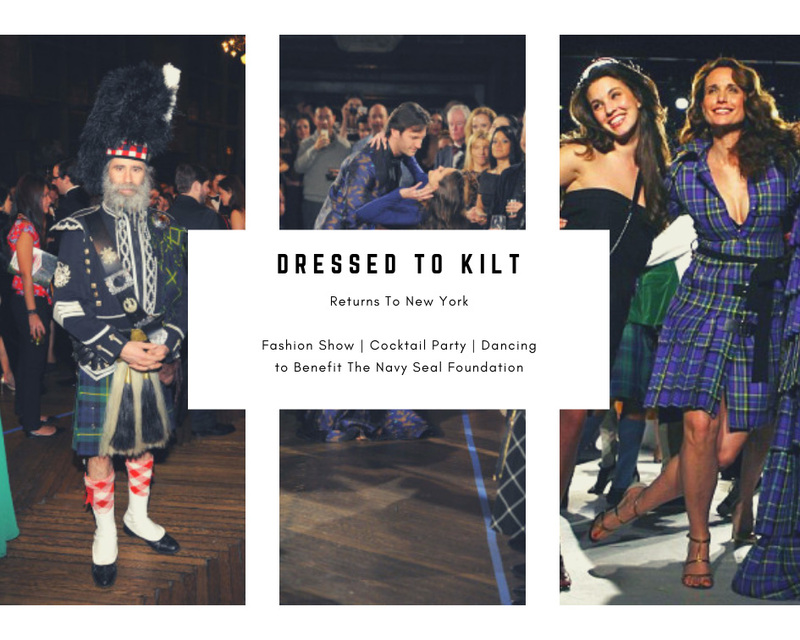 Charitable Organization, Friends of Scotland, is bringing back the famed celebrity fashion show Dressed to Kilt to New York City on Tartan Day, Friday, April 5, 2019 filled with kilts and kitsch. 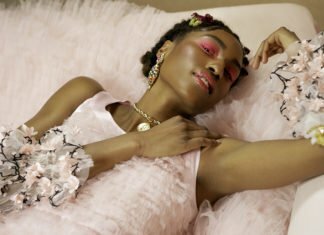 The fashion show will feature designers from Scotland and some Native American tribes paying homage to the roots of America and celebrating diversity in this country. Walking the catwalk will be military heroes, Scottish Rugby players, and celebs from your news screens to your favorite reality TV shows, all aimed at raising money for the Navy Seal Foundation. 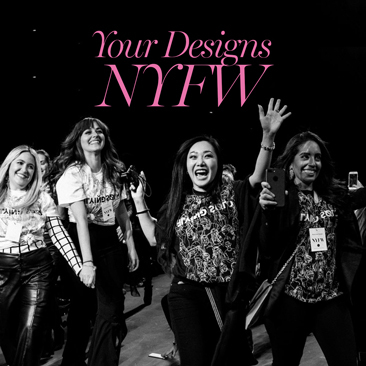 Celebrities, heroes, and models alike will be styled by Joan Reidy, a celeb stylist who has worked with the likes of Beyonce, Gwen Stefani, Jennifer Lopez, Drew Berrymore and countless designers for NYFW. The fashion show will be followed by a cocktail party and buffet along with music and a few Scottish numbers aimed at encouraging the crowd to try their hand at Ceilidh, traditional Scottish dancing. Dressed to Kilt will be held at the Church of the Holy Apostles in Chelsea chosen because of its beautiful interior and the fact that they hold a soup kitchen daily serving the homeless and hungry of lower Manhattan. The soiree was held in Houston last year, taking a break from a long run in New York City. Dressed to Kilt has developed a cult like following for those seeking some good Scottish fun and many celebrities with Scottish roots have dawned the catwalk from Andie MacDowell to Ivanka Trump. This year’s notable lineup includes: Master Chief Edward Byers (active Navy Seal), Tom and Max Evans (Famous Scottish Rugby Players), Jessica Matten (star of “Frontier’ on Netflix), Kanaiehtiio Horn (model), Janelle Evans (“Teen Mom”), Adam Beach (“Law and Order SVU”, “Hawaii Five-O” and “Juanita” on Netflix), Jennifer Lahmers (“Fox News Good Day” Anchor), Mark Steines (“Entertainment Tonight”), TV Host Natalie Negroni, Melody Mitchell (“Black Ink Crew”), Angelina Marie (“Jersey Shore Family Vacation”), Kelli Barrett (“Fosse/Verdon” on FX), Marvin Cortes (“America’s Next Top Model”) and Genevieve Gorder (Former star of “Trading Spaces” and new Bravo series “Stay Here”). Proceeds from the evening will go to benefit the Navy Seal Foundation. Tickets start at $50 for those under 30 years of age, $75 for general admission and $150 for VIP tickets which includes a VIP seat for the show. Tickets can be purchased at DressedtoKilt.com. 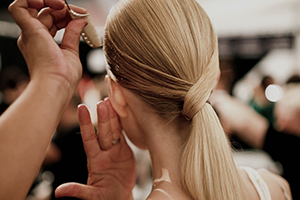 From its genesis in 2003, DTK is now the largest and most prestigious Scottish fashion event in the world, and one of the highest profile fashion shows in the United States. 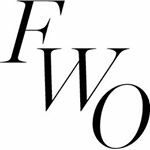 We believe that fashion without the enrichment of diverse cultures become hollow. The show is produced by the Friends of Scotland charity which was co-founded by Sir Sean Connery in 2002. 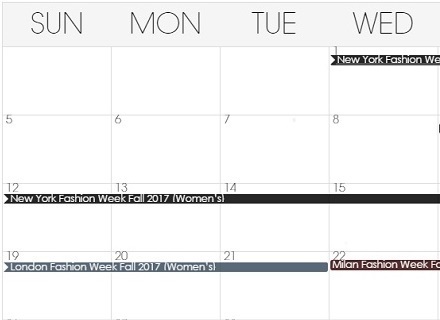 In addition to supermodels, this show highlights very accomplished men and women on the runway and it is also filled with A-List celebrities and athletes from both sides of the Atlantic. In recent shows Sir Sean Connery, Gerard Butler, Kiefer Sutherland, Kyle MacLachlan, Ivanka Trump and Donald Trump Jr., Chris “Mr. Big” Noth, Mike Myers and Craig Ferguson have all walked the runway. The charity has raised significant sums for the families of wounded veterans. For more information, please visit www.dressedtokilt.com.